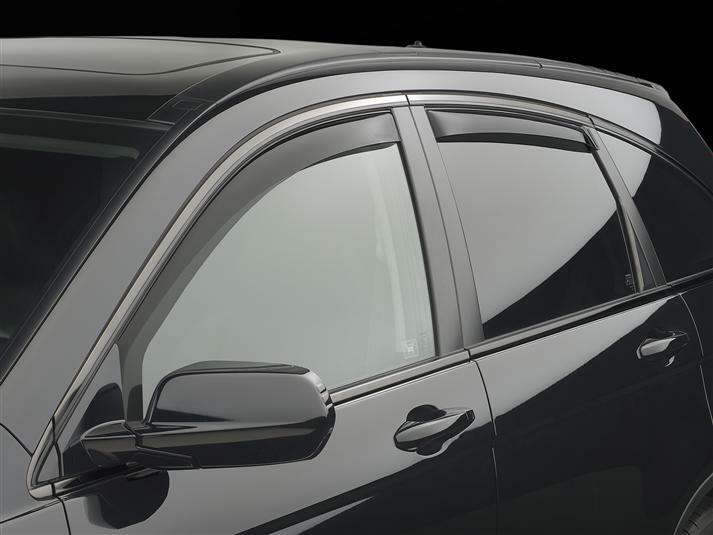 WeatherTech Side Window Deflectors are precision-machined to perfectly fit your 2011 Honda CR-V's window channel. These low profile window deflectors help to reduce wind noise and allow interior heat to escape. Our light tinted Side Window Deflectors are the only deflectors in the world made with a D.O.T. (U.S. Department of Transportation) approved glazing material. Available in light and dark tint for most vehicles. Designed and Engineered in USA – Handcrafted in Germany. Ordered the vents after receiving the floor mats for my birthday, They blend into the profile of my vehicle very well and look good. The right side vent chipped on the rear edge when I was raising the window and wouldn't clear the window after that. I called customer service and they shipped a replacement faster than the original with out any hassle. Good company to do business with. I installed the selector and about a month later the rear passenger deflector went missing and it was installed right. Other wise the selectors worked on reducing wind. Reduced inside noise from wind at the Windows.